for The Woodley Press in 2000. The front cover drawing is by Bill Sheldon. The back cover mandala, "Wormwood root cut transversly," is from Nehemiah Grew's The Anatomy of Plants, reprinted from the 1682 edition by Johnson Reprint Corporation. Donald Levering lives and writes in Santa Fe, New Mexico, where he works as a human services administrator. He is the author of Horsetail (Woodley Press, 2000), as well as three chapbooks--The Jack of Spring (Swamp Press, 1980), Carpool (Tellus, 1983), and Mister Ubiquity (Pudding House)--and another full-length collection, Outcroppings From Navajoland (Navajo Community College Press, 1985). A new collection is forthcoming from Pudding House. At first glance, a poet from Santa Fe may seem a strange choice for a web site featuring Kansas writers. But Don has roots in Kansas, and so does his poetry. He was born and raised in this state and spent his summers working in his relatives� grain elevator. He also continues to write about Kansas; Horsetail includes poems with titles like �Eastbound Into Southwest Kansas� and �Wheat Trucks.� However, Levering�s connections to the state are more than just circumstance of birth and choice of subject matter. Don writes with what Denise Low has called the Kansas vernacular. There is, in Don�s writing, the careful choosing of words one associates with the middle-westerner. 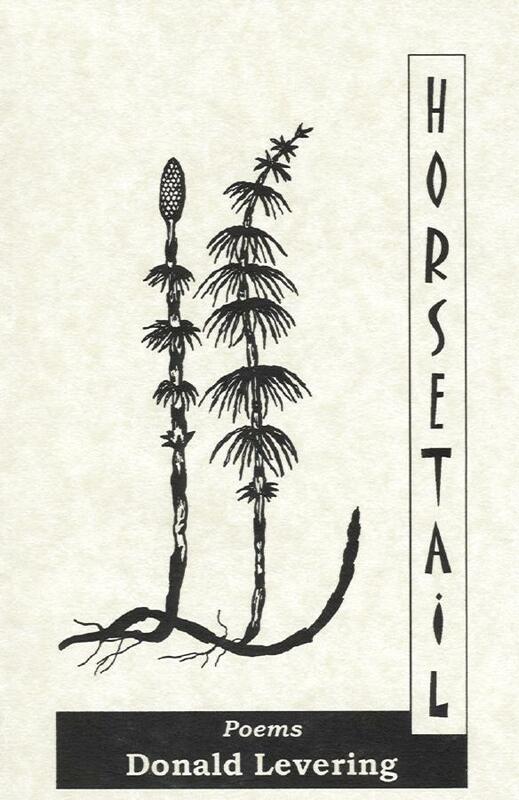 Horsetail is a tightly constructed book; its sections are well conceived and the poems precise in their language. Victor Contoski, in his foreword to Don�s book, states that, �Levering writes of the borderland, the land between wilderness and civilization . . . [and] [t]he garden becomes a perfect symbol for this life on the edge.� Don�s work, like that of Theodore Roethke, is often focused on what George Perkins calls the �aboriginal sources of being,� the world of the root and weed. 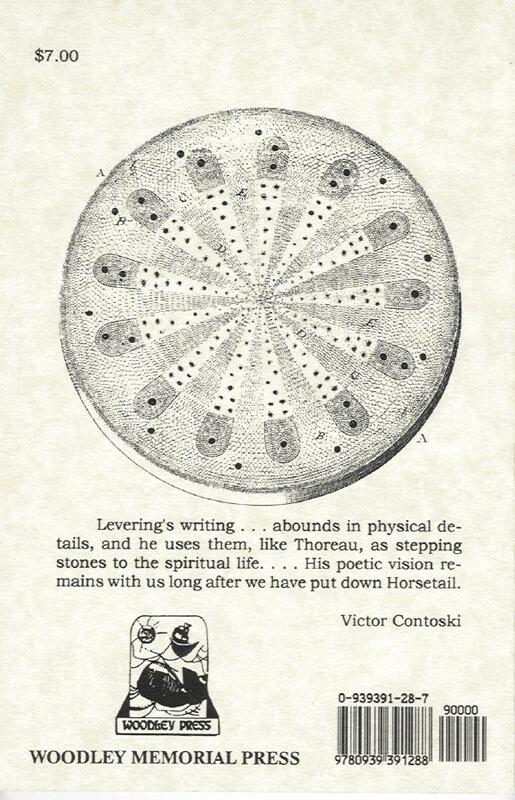 Contoski adds that Don�s writing, "like that of Henry David Thoreau, abounds in physical details, and he uses them, like Thoreau, as stepping stones to the spiritual life.� In Levering's poetry, garden plants, and weeds, are clearly limned, the products of a careful eye, but there is a resonance in their roots below the surface. Levering also shares with Roethke a good ear. His poem, �June 19,� opens: �No rest for slugs in search of shade, / for the sun is already ringing away / the dew, chiming pepper sprouts / from the ground�.� That seems particularly fine, the rhythm, the alliteration and assonance, the sounds, not just the words, creating the visual images. 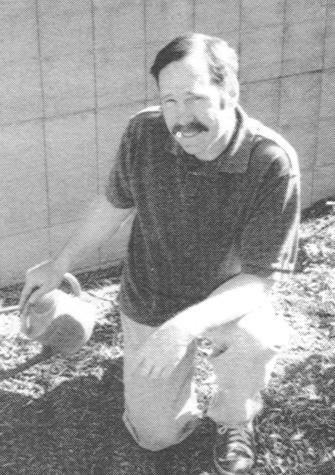 Don has, in the past, made his living as a gardener, and his poems in Horsetail demonstrate the kind of careful tending that allow them to flourish into a well thought out, strongly executed book. See the page on The Woodley Press web site for another poem from Horsetail, and ordering information.